I’ve worked at Redwings since 1993 and there has honestly never been a dull day! I support the vets at Redwings with everything from anaesthetics and surgery to x-rays and ultrasounds. I’m primarily based at the Horse Hospital but I also spend a lot of time at other Redwings sites treating the residents and arranging for them to be brought back to the hospital if needs be. 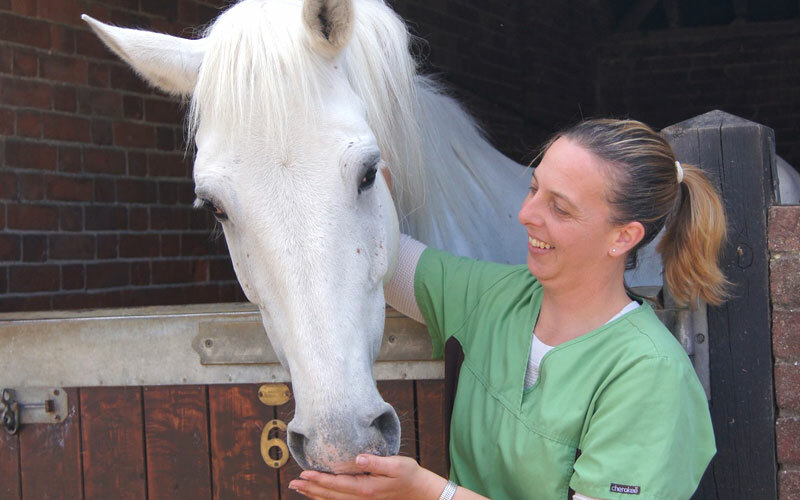 Thanks to Redwings, I am now a fully qualified equine veterinary nurse, having completed my training while employed at the Sanctuary. I absolutely love my job and seeing horses benefit from top level veterinary care when they have had their health badly neglected in the past is the most rewarding part. Redwings resident soft spot: Bono is prone to colic and lameness so he’s a horse the veterinary team know quite well now. He’s a stunning chap and so affectionate, I just love him!